Ok Fine! I'm guilty. I know I should not compare one country to another country especially the tourism aspect, but I can't help but notice the similiarities of some places in Taiwan to South Korea. Our friends over at Metro Wanderer travel agency sent me to Taiwan fresh from my sojourn in South Korea to have some fun and to discover the amazing places especially in the Taipei Area. It was such a memorable trip for me because it was my first out of the country trip to travel. South Korea was a different story because I went there to work. I stayed in Taiwan for 4 days and three nights and it was such a refreshing experience for me. As I've said, I can't help but look at Taiwan in a Korea perspective, you can't blame mebecause I was still feeling the separation anxiety with Korea that time. For that reason, I want to share these places I discovered in Taiwan that generally, but not necessarily look like places in South Korea. 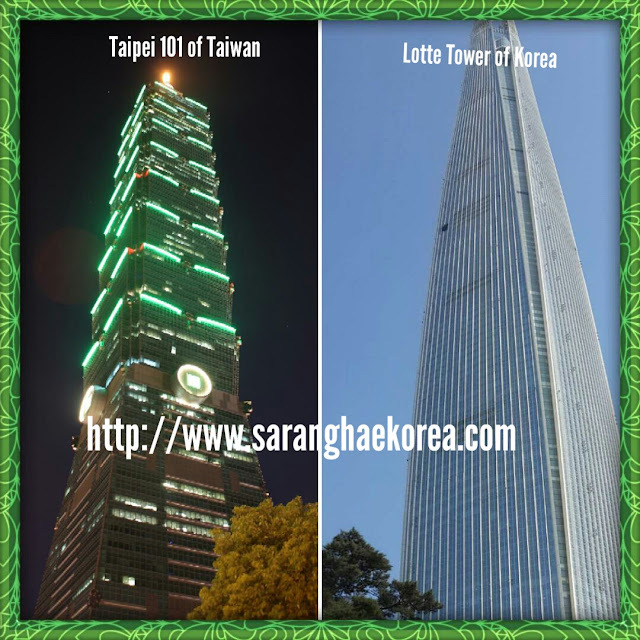 I think the most obvious similarity for both Taiwan and South Korea is the presence of the supertall skyscrapers Taipei 101 and Lotte Tower. Both buildings are listed in the top 10 tallest building in the world where Lotte Tower ranked number 5 and Taipei 101 ranked number 8. Both buildings also have observatory where you can see the beautiful city of Taipei and Seoul in the highest possible spot in the country. There's also shopping malls and other amenities that you can find in both buildings. 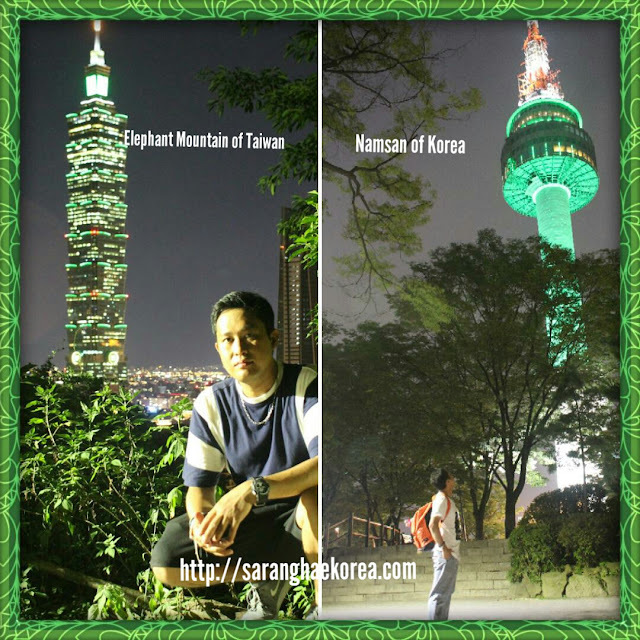 If ever you decide to put hiking in your travel itinerary, then the first thing that appears in the thought bubble would be the Elephant Mountain for Taiwan and Namsan for South Korea. However, unlike Elephant Mountain, Namsan has a cable car and accessible by bus or vehicle. Elephant Mountain on the other hand has no other options but to climb with your barefoot. Nevertheless, both of them are mountains situated in the middle of the city and you get the chance to see the cityscape when you reach the top. Colorful, vibrant, youthful and street food and shopping and people. 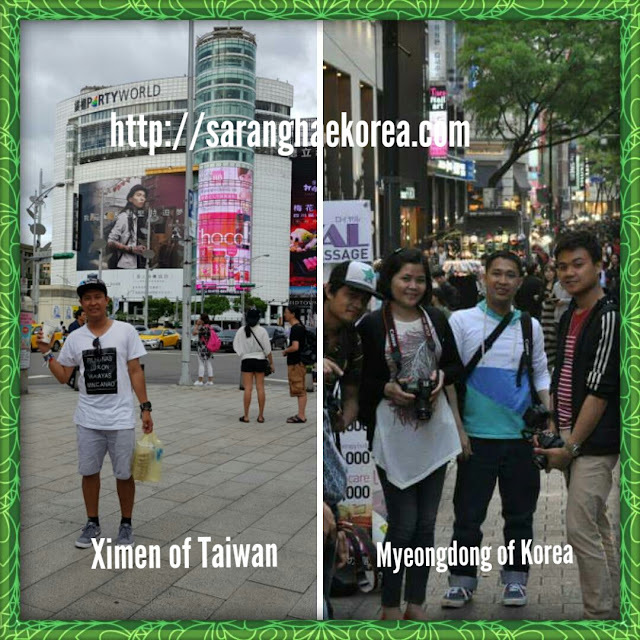 I think every aspect of the Ximen district in Taipei is the same as in Myeongdong and Hongik of Seoul. These are the places that you would like to visit to hang out and to connect with the young locals of the city. Do I need to say more about this? 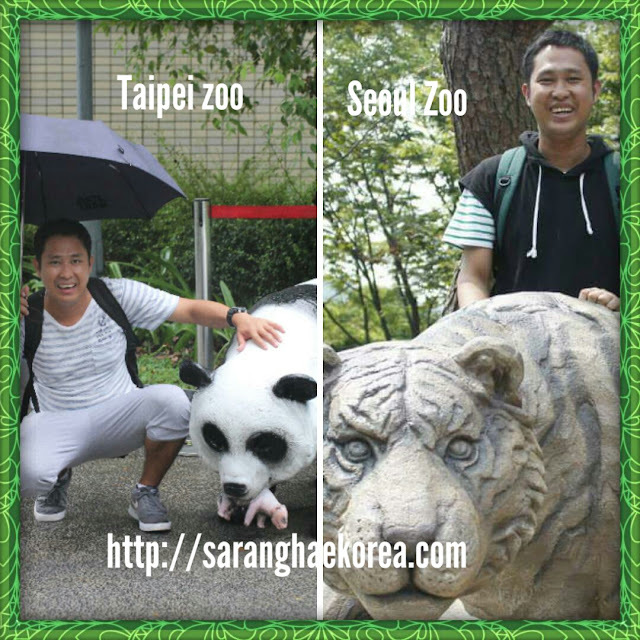 Obviously, both zoos houses different kinds of animals and both are also located in the capital city of the country. 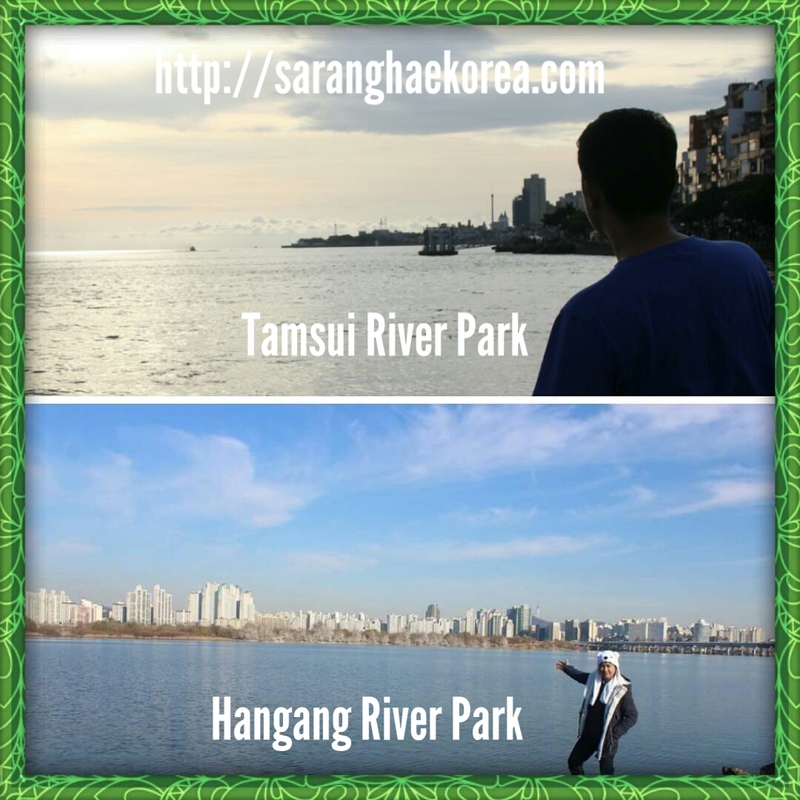 Peaceful, fresh air, happy people, beautiful scenery and the view of a calm river. 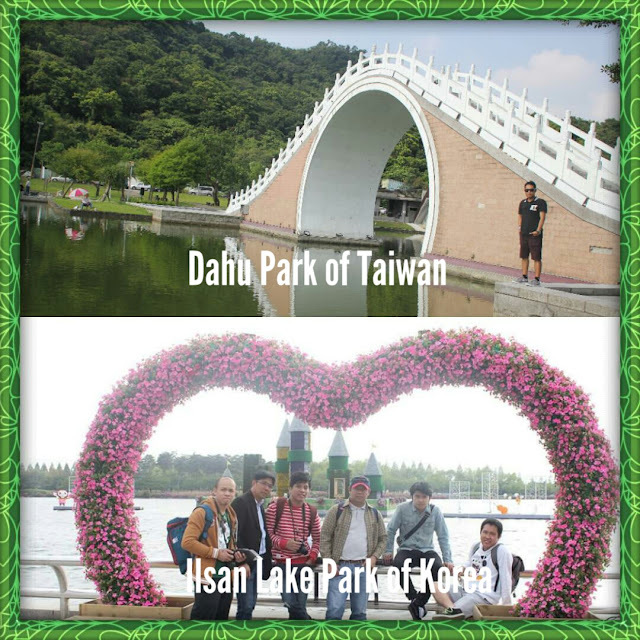 You can experience all off these in the Tamsui River park of Taiwan and the Hangang River park of Korea. You can bike, you can motorbike, you can play and you can relax. Both places are recommended for your itinerary. Chiang kai shek is a national monument, landmark and tourist spot in Taiwan. 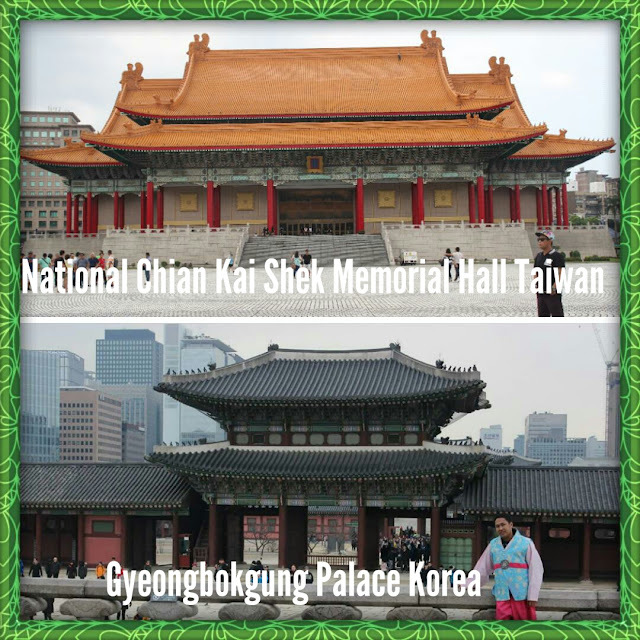 Gyeongbokgung Palace is the biggest palace in Seoul, it is also a landmark and a tourist spot. Both played a vital role in the history of their respective cities. Sun Yat Sen Memorial Hall is an homage to the Father of Republic of China which is Dr. Sun Yat Sen. He led the revolution against the Qing dynasty. 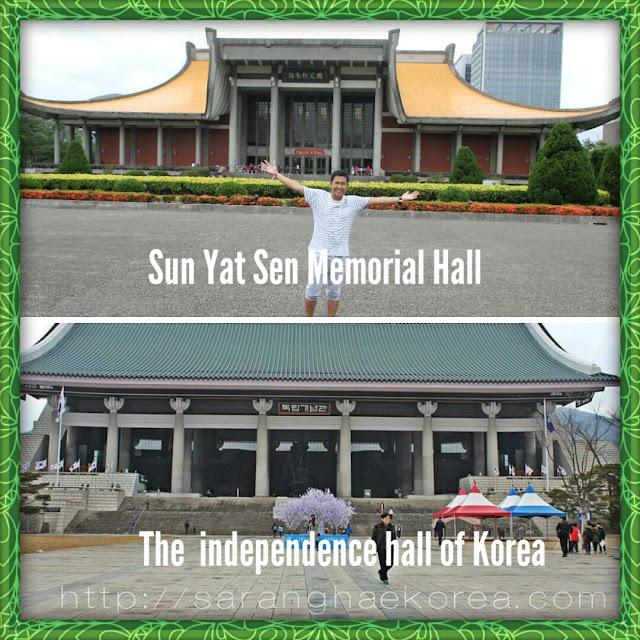 The Independence Hall of Korea is also an homage to the heroes of the Korean revolution who fought against the opression of Japan. Both are symbols of patriotism and heroism. These lake parks are good places to visit if you want to commune with nature. The serenity of the lake and the relaxing ambiance are the things in common between these two lake parks. 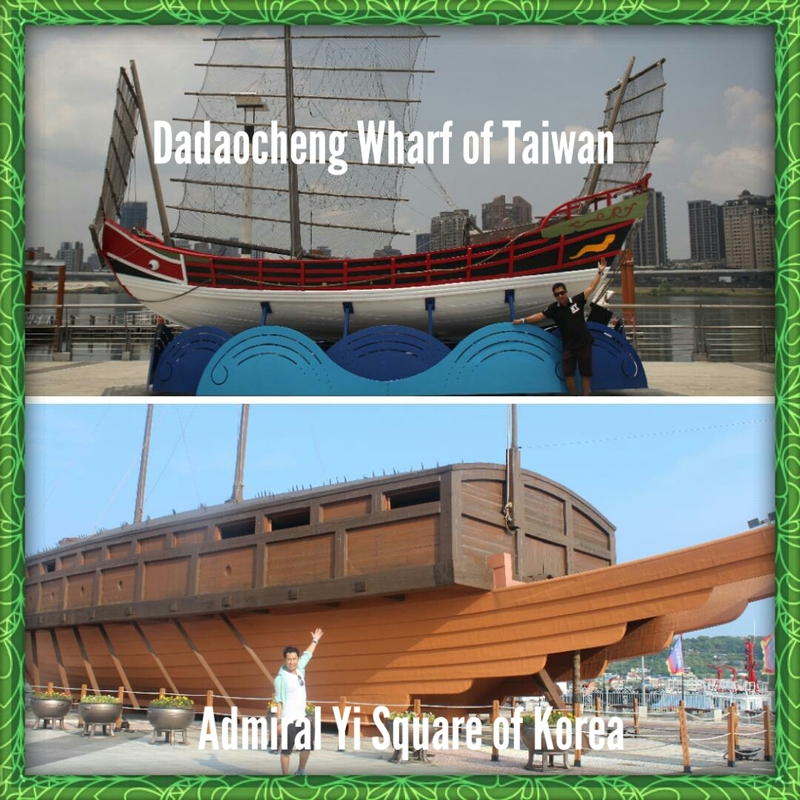 Located in the coastal area, Dadaocheng Wharf and Admiral Yi Square were both the center of attractions in their respective era. The location played a vital role in the history of their respective countries. Today, people go to these places to get a glimpse of the past. 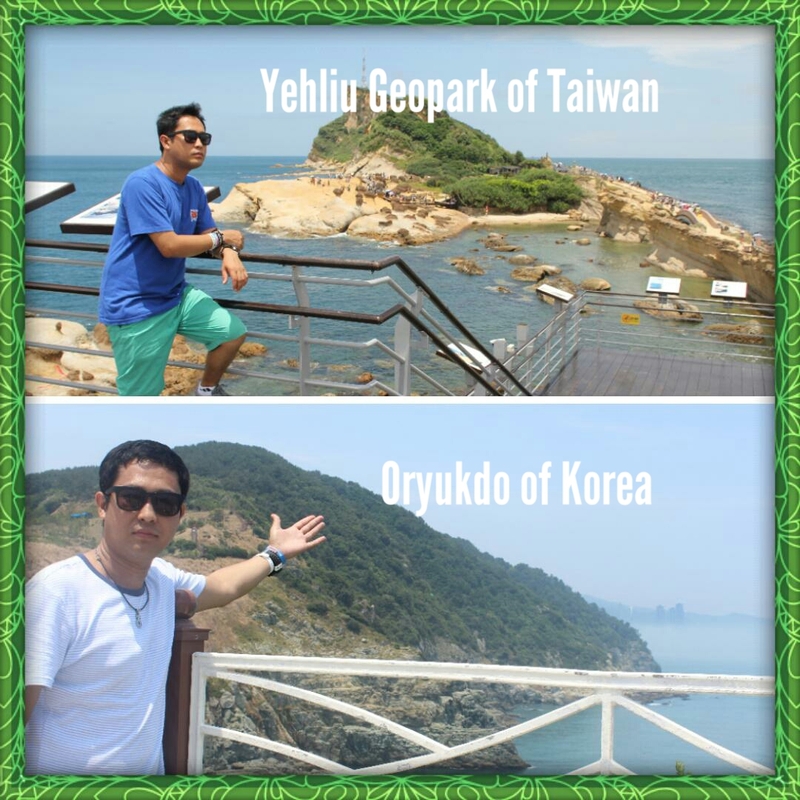 They're not the same in some level, but because of the unique rock formation and island formation, I must say that Yehliu and Oryukdo are the same. Both of them became attractive because everything is natural. These parks were designed by nature and all you can see are natural beauty. Festive, colorful and a place where the faithfuls come to pray to their respective Gods. 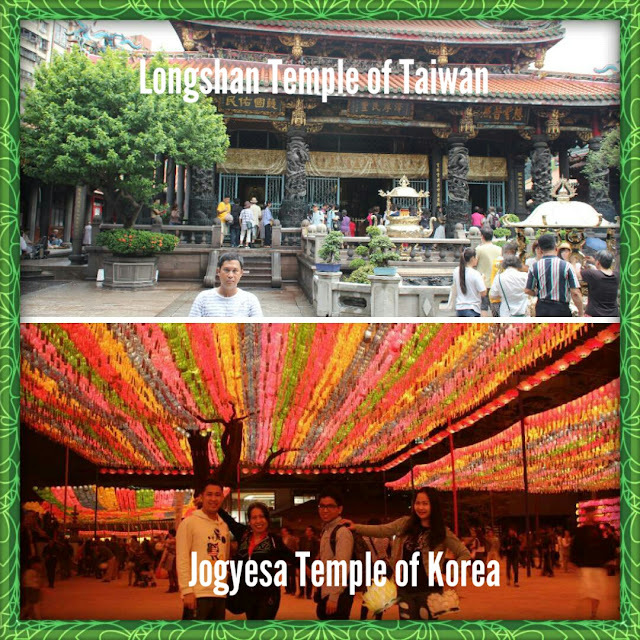 If you want to observe the religious practices and aspect of Taiwan and Korea, then go visit Longshan temple and Jogyesa temple respectively. 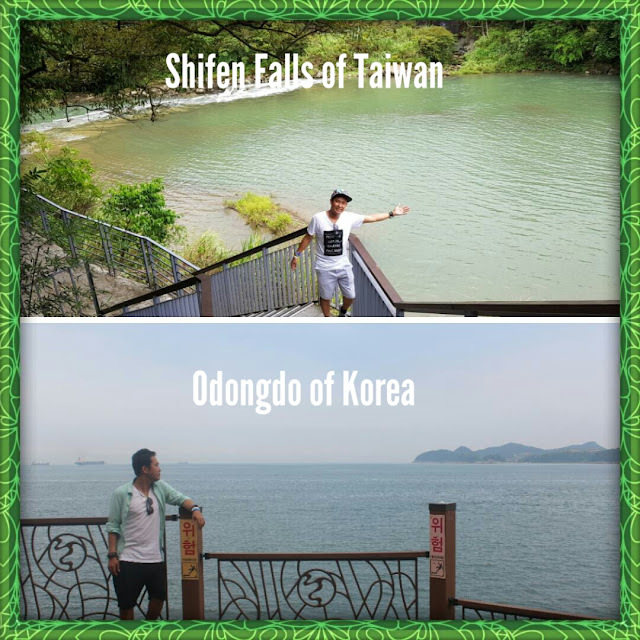 The foresty feel and the good vibe of nature are something that shifen falls and odongdo have in common.Just like Shifen Falls, Odongdo has all the element of nature that can inspire you to keep traveling and explore the world. Did I miss something? Four days are not enough to discover more about Taiwan, it is not even enough to compare my four years stay in South Korea. Taiwan and Korea have different characteristics, culture and traditions, but I guess looking at them in the perspective of another country can help us understand better and appreciate more. great comparison, Shirgie! And you captured the comparisons well in your photos! Hello ms wendy. Thank you for visiting.